I drive my Hot Rod Crosley to the first car cruise of the season. 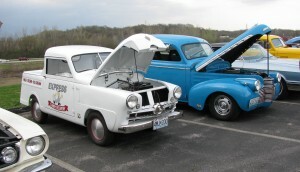 Friday, April 2 was the first major St. Louis area car cruise of the 2010 season. 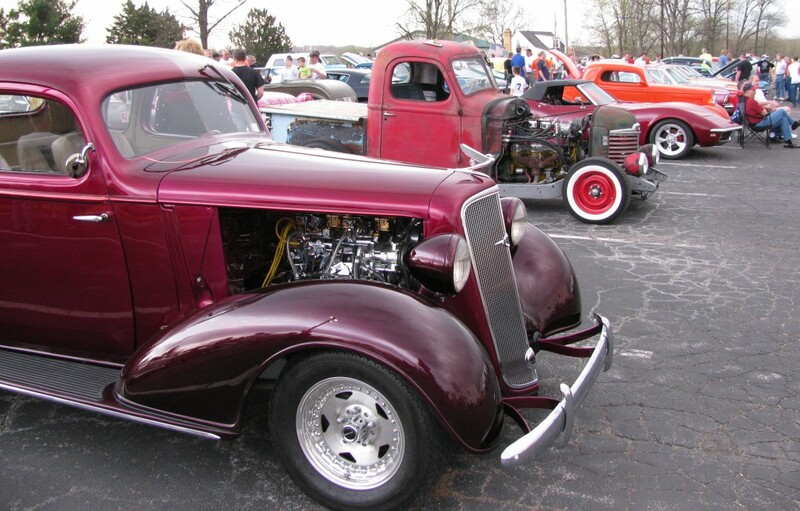 This monthly car cruise regularly draws more than 400 pre 1979 hot rods and street machines on the first Friday of each Spring and Summer month. 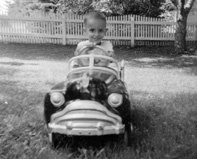 I was anxious to drive my Hot Rod Crosley Pickup to the cruise. I have participated in this car cruise for several years and I have never seen a Crosley in attendance. This event is approximately 15 miles from my home and I thought it would be a good test of my little Hot Rod Pickup. Everything went well on the way to the car cruise. The tiny 44 cubic engine was screaming along at 5500rpm and my speed touched 60mph on the speedometer. The entry ramp to the show parking lot is a long uphill run… and I was in second gear. When I stopped at the top of the hill to get my registration papers… I somehow got the miniature Crosley transmission hung up in two gears and unable to move. HOW EMBARRASSING!!!! Not only was my pride and joy broken but I was blocking the entrance to the show creating a hassle for all the arriving cruisers. Fortunately for me, out of the crowd stepped my good car buddy Roger. The host club members rustled up some tools and Roger and I removed the top of the Crosley transmission and re-aligned and reassembled the gear box. 45 minutes later I was idling to a parking spot in the show. On the 15 mile trip back home, I shifted the delicate Crosley transmission with kid gloves. The truck ran perfectly and my confidence returned as I made it home safely. I have driven my Crosley two more times since the show and the transmission still shifts as it should. Disaster adverted.